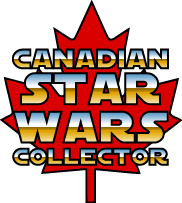 Canadian Star Wars, Seen around the world. From ESB 41 Backs sold in Europe with Clipper Stickers, to ESB 47 backs sold at clearance in Australia, Canadian packaging made its way around the world in the 1980's. Shown below is an Imperial Attack Base box with a Palitoy sticker. Many thanks to the British collector who sent me this item.